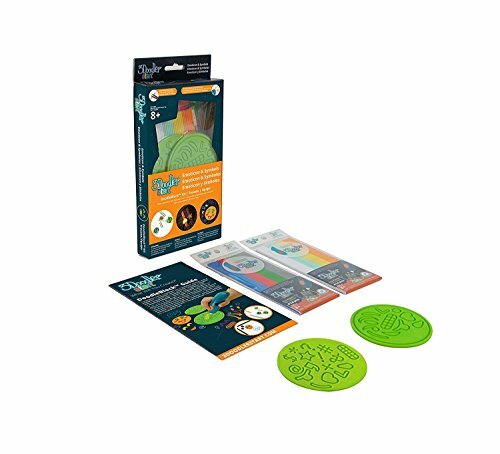 PERFECT DOODLES MADE EASY: Simply Doodle into the grooves, wait for around 20 seconds for the plastic to harden, then flex the DoodleBlock to pop the pieces out. FREE ACTIVITY GUIDE: Each Kit come with a free Activity Guide that include up to 6 projects to get your started. Each set contains: 2 pack (48 strands) of 3Doodler Start Plastic in 8 colors, 2 themed DoodleBlocksTM and Activity Guide. THIS KIT DOES NOT INCLUDE A 3DOODLER START PEN.